Evokes the spirit of Italy, the infinite sky, the deep sea and lighthearted joy. Surprising and colored: the liveliness of Sicilian citron, the happiness of Granny Smith apple, the spontaneity of bluebells. (3) DOLCE & GABBANA SICILY. 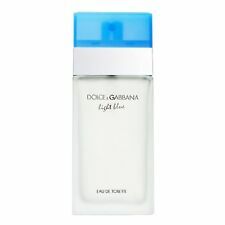 Light Blue Eau Intense Perfume by Dolce & Gabbana 1.6 oz for Women. NEW. Sealed. Dolce&Gabbana. After Shave. Bath & Body. Bath & Body Products. Juicy Couture. NobleMart - Expect Sincerity™. Unless its an error from our end. You Will Get As shown In Picture. Fragrance TypeEau Intense. Size3.3 oz / 100 ml. All of our products are 100% authentic. 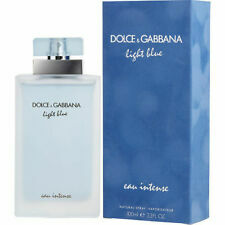 Light Blue Eau Intense Perfume by Dolce & Gabbana 0.8 oz for Women. NEW. Sealed. 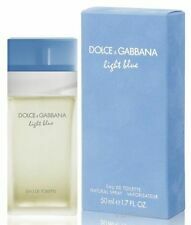 5 out of 5 stars - Light Blue Eau Intense Perfume by Dolce & Gabbana 0.8 oz for Women. NEW. Sealed. 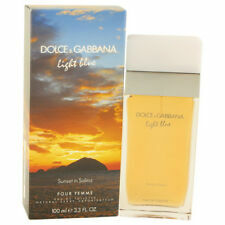 2 product ratings2 product ratings - Light Blue Eau Intense Perfume by Dolce & Gabbana 0.8 oz for Women. NEW. Sealed. SIZE AND TYPE: 6.7 Oz Refreshing Body Cream. Jewelry - Ring (120). Fashion Watches (1261). PRODUCT INFORMATION. 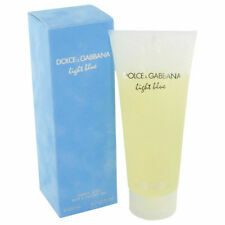 Light Blue by Dolce & Gabbana Refreshing Body Cream 6.7 oz for Women NIB. EAD New & Improved Light Blue Eau De Toilette Spray 2.5 oz. LIght Blue by Dolce & Gabbana. Location: S box 67 n.w 8 oz. DOLCE&GABBANA DOLCE GARDEN Eau de PARFUM. 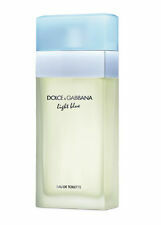 DOLCE&GABBANA LIGHT BLUE Eau de Toilette. Dolce Garden Eau de Parfum is a delicious flower blossoming in a garden where simple pleasures and spontaneity set the beat for a joyful afternoon dance. ". DOLCE GABBANA. 0.25 oz / 7.4 ML EAU DE TOILETTE SPRAY. LIGHT BLUE. 100% AUTHENTIC. Trending at $52.99eBay determines this price through a machine learned model of the product's sale prices within the last 90 days. LIGHT BLUE by Dolce & Gabbana. TWO1.7 fl oz / 50ml EACH ~ SHOWER GELS. Launched in 2001. - Ending Soon. - New Arrivals. - Add to Favorites. Quick Links. - Products that have been used. Always savings- Our prices are constantly examined to ensure you always get the best price. Dolce&gabbana women's purpume NWT!!! 25 ML Light blue. Beautiful fragrance one of my favorites. I love how it last all day. Great gift or deft for yourself. By Puffing Up. 4 oz / 120g Dusting Powder in Shaker with Puff and Glass Stand. TALC FREE! with Handcrafted Puff & Glass S tand. The glass stand features a frosted finish. THIS ONE REPRESENTS THE STATE OF PUEBLA. TYPE: EAU DE TOILETTE SPRAY. SIZE: 3.4 O.Z / 100 ML. CONDITION: NEW. In Light Blue Perfume by Dolce & Gabbana, an impish note of green apple emanates from the latest creation of the most impertinent of Italian designers. Light Blue is not a lighter version despite its name: It sparkles with flowers and fruit notes that are an enticement to joie de vivre. The fragrance opens on a fresh and gourmet note of Sicily cedar, Granny Smith apples and bluebells. Light Blue Women Inspired Type A Perfume Body Oil 1/3 oz (10ml) Roll On New! 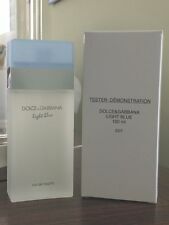 Dolce & Gabbana Light Blue Perfume 6.7 oz Tester with Cap Only Sprayed Once !! !